Henry M. Ehrenwerth built this two-story commercial structure in 1873-75 of bricks from a local kiln. Designed for his mercantile store, it housed L.G. Smith's Red Elk Saloon and Gambling Hall in the 1880s. 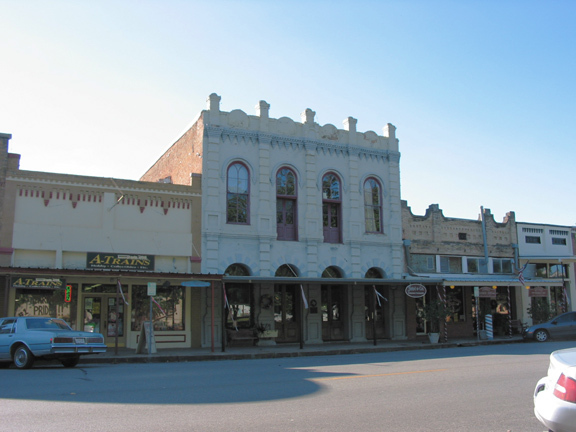 In 1896 the building was purchased by James Ramsey, who operated a hardware, implement, and undertaking business here. His son Charles sold the structure in 1925 to the hardware firm of Leo L., F. J. and Emil E. J. Untermeyer.